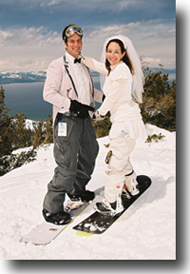 A fantastic and rather unique way to begin your life together is to get married in the midst of the Sierras at Heavenly Mountain Ski Resort. Our ski wedding location is situated off one of the resort’s peaks where breathtaking panoramic views are the backdrop for your ceremony. 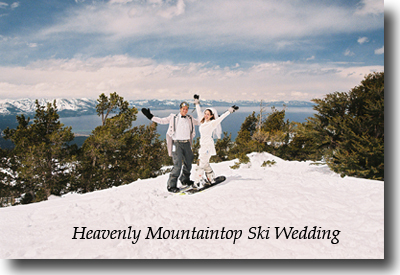 Exchanging vows and rings at elevated heights in excess of 9,000 feet overlooking Lake Tahoe is quite impressive to brides and grooms marrying on the mountaintop. Your wedding day will begin with an approximate 15 minute gondola ride ascending up the mountainside to an altitude of over 9,000 feet. Spectacular views of the lake and all of Tahoe can be seen during the ascent. Once you arrive at the gondola’s end, another ski lift will transport you further up the mountain. 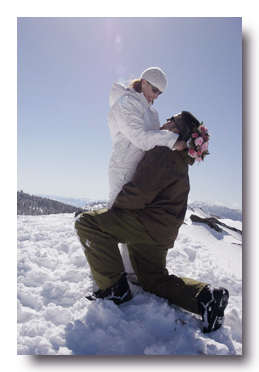 From there, you and your guests will ski over to a poised overlook on the mountain where your wedding will take place. 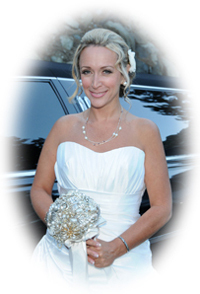 The photographic opportunities are immense at this ceremony site, and our photographer will capture the intimate moments of your wedding in addition to posed shots on your skis afterwards. 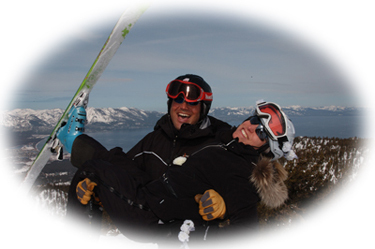 Since lift tickets are included with your wedding package, you’re free to ski the balance of the day at the resort, formally as husband and wife. 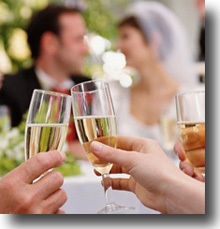 Ski package includes four lift tickets: one each for the bride, groom, minister, and photographer. Additional lift tickets for your guests can be purchased on the day of the event and will cost about $130 each (price may vary as it’s subject to change). Small group size of up to 15 people is suggested.